The Essence and Practice of Japanese Archery was written by Dan & Jackie De Prospero who has lived in Japan and practiced Kyudo under Mr. Hideharu Onuma, 15th-generation headmaster of Heki Ryu Sekka-ha, for several year. This book filled with good information of Kyudo and using a straightforward language with an illustrations. 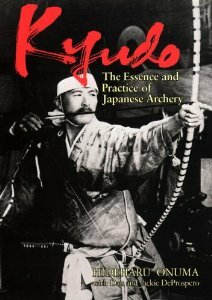 We recommend this book for beginner and everyone who interested in Kyudo.